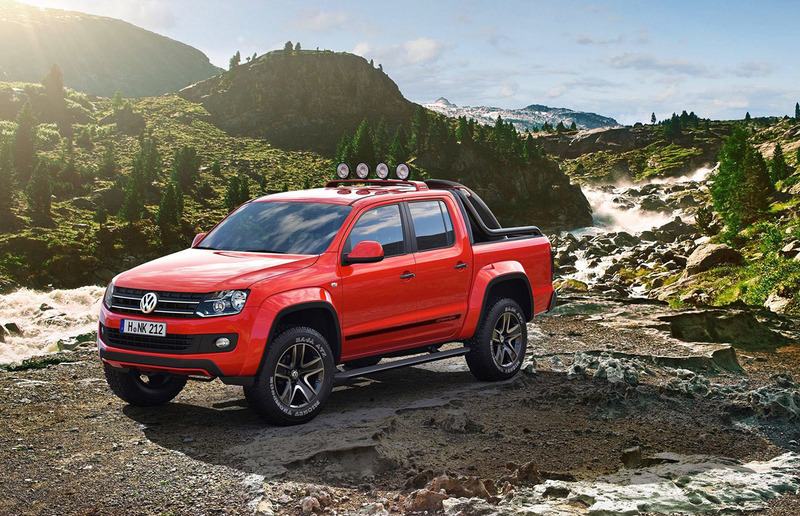 Volkswagen offers the Amarok, this handsome mid-size pickup, in the rest of the world and has done so since 2010. VW decided not to bring it to the U.S. at the time, according to Autoblog, because the company thought that it was too small for the U.S. market. Autoblog also reports, however, that Volkswagen is keeping its eye on the U.S. mid-size truck market and may consider importing it in the future. Personally, I think this truck with a diesel, manual transmission, true 4-wheel-drive, and a two-speed transfer case would be a nice thing to have. 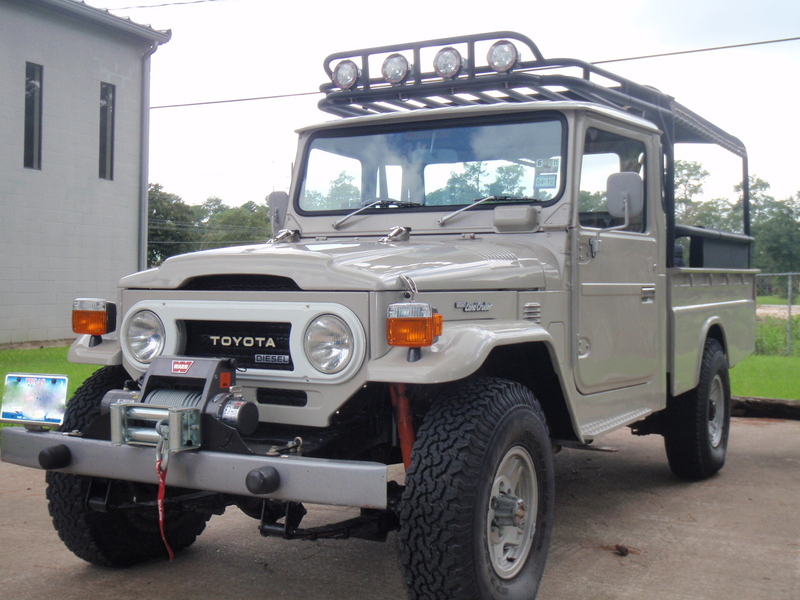 This gorgeous, restored 1978 Toyota Land Cruiser FJ45 long bed pickup looks better than new. It’s said to have traveled 53,000 miles since new. Much has been replaced and it features a new Warn winch. Bring a Trailer notes that it came from the factory with Air conditioning and power steering, two desirable options. A 4-spd manual and the Toyota 2F, inline six round out the specs. The truck is located in Montana. Bidding currently stands at $39,800 with about 5 days on the clock. Update 4/29/2013: The seller seems to have ended the auction early and sold the truck offline. 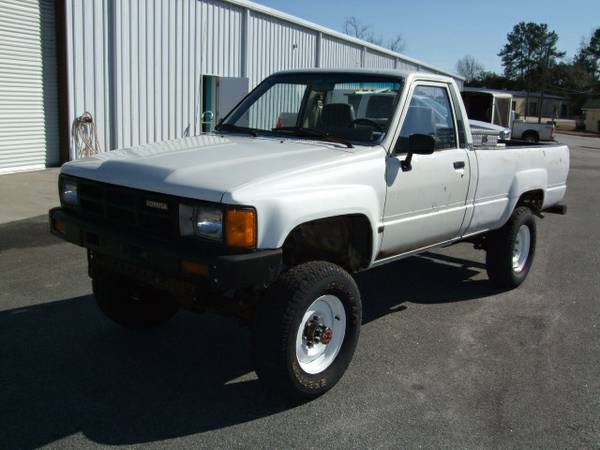 Here’s a rarity, in the U.S. at least, a factory, diesel Toyota 4×4 pickup. 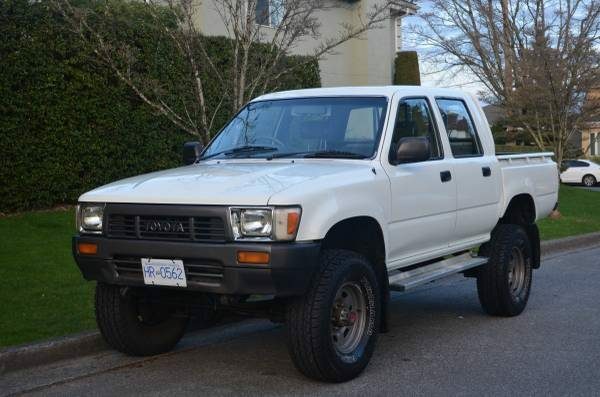 The owner states that this left-hand drive truck was imported directly from Japan in 1984 as a new vehicle, not a grey market one, and is California and EPA compliant. It sports a normally-aspirated 2.4L diesel, 5-spd. manual transmission, solid axles, recent engine work (rings, timing belt, etc.) and OME suspension. Another rarity: it is otherwise stock. On the downside, the seller states that the bed needs to be replaced because of rust. The interior looks decent but dirty. Mileage is not listed. The asking price is $8,900 and the truck is located in San Francisco. 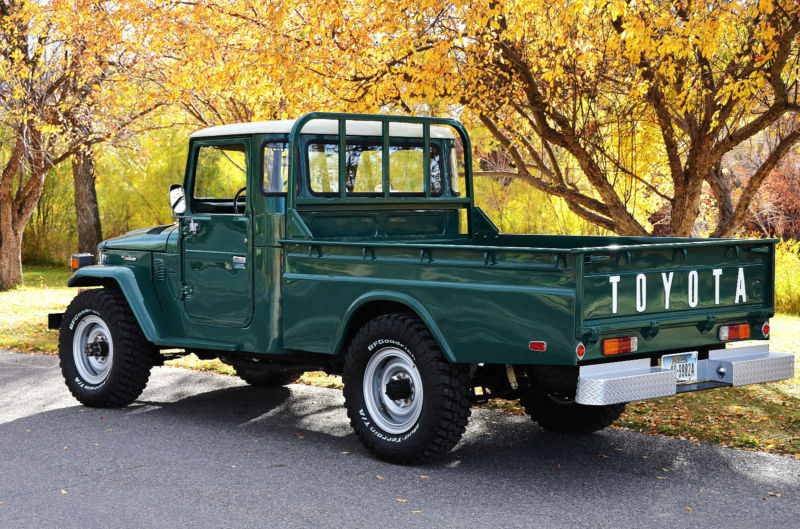 Here’s a beautiful looking Toyota HJ45 pickup with an H diesel engine. Details in the ad are spare but the photos show a Warn winch, ARB front and rear locking diffs and a nice custom roll cage. The seller is looking for offers in the $20k range.The truck is located in Texas. Wow, this is a new one on me. 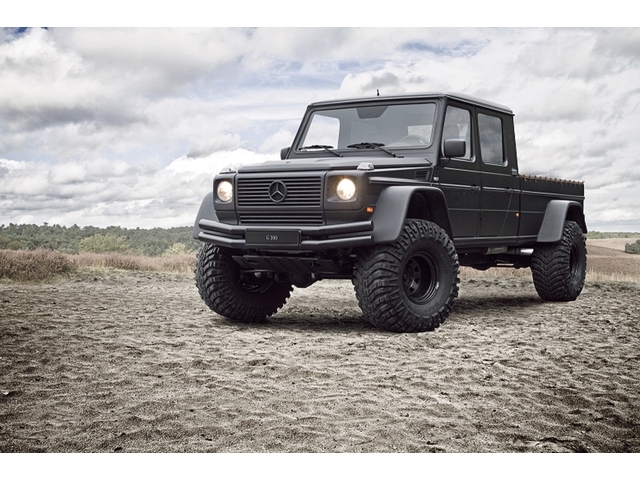 It’s custom-built Mercedes-Benz G500 pickup. This teutonically tough crew cab sports widely flared fenders over 38″ Mickey Thompson tires and retains its original 5-liter, gasoline engine. Although it currently resides in the Netherlands, shipping to Baltimore is included in the price. 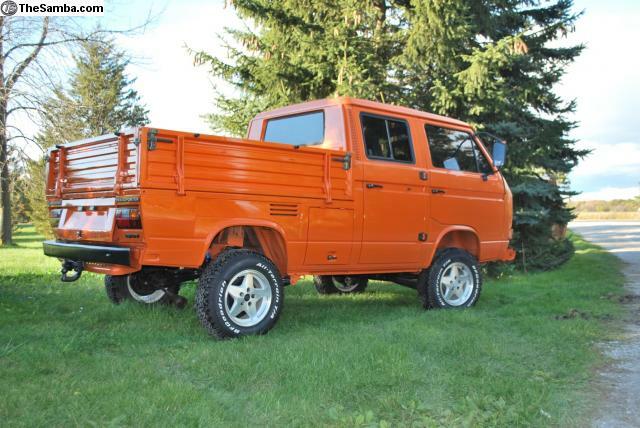 According to the seller, the truck was registered in the United States before its conversion. Hopefully the addition of a eight-foot pick-up truck bed won’t raise too many eyebrows at customs. Amazingly, the truck looks so right, as if it had come from the factory like any other G500 variant. It’s as if they had a cousin they never knew. Oh, Otto von Haulenstuf! Look —he’s got the family chin! In case you’re interested in bringing this lost cousin back to America, bidding currently stands at $45,100 with an unmet reserve. The Buy It Now price is $99,000. Not bad, von Haulenstuf. Update: Bid up to $62,100 without meeting reserve. 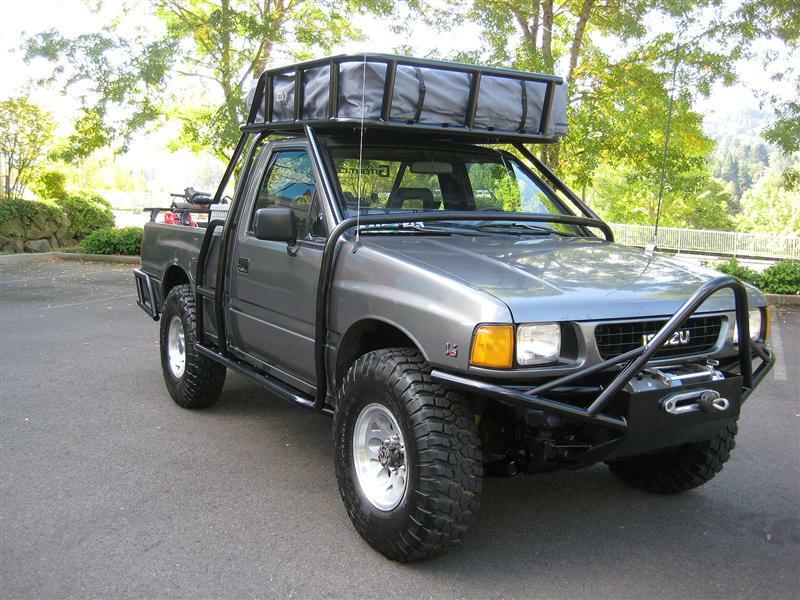 Here’s a very nicely equipped, relatively low mileage, 4×4 Isuzu Pickup that’s ready for any off-road adventure. It has a full exoskeleton and rack, Old Man Emu suspension, a winch, ARB locking differentials, and brake and transfer case upgrades. Very nice. It even has a 5-speed, a rare find in “recent” off-road vehicles. The seller is doing an interesting thing by offering the truck for a variable price of $5,000 – $9,000, depending on how much of the equipment you’d like to leave on the truck with the purchase. If you’d like it all, hurry before he parts it out. You could never build this truck for the asking price.